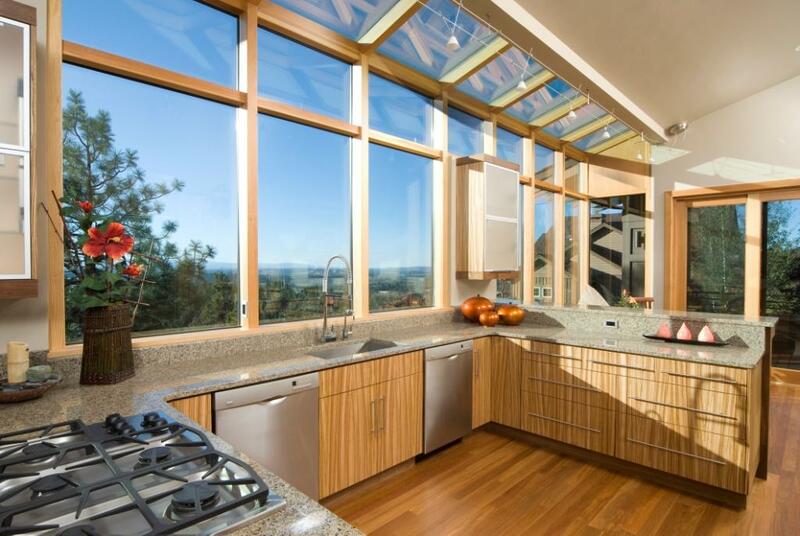 You might have heard about the versatility and eco-friendliness of bamboo building materials. But do you know exactly how you can actually integrate it into your home or business? Bamboo plywood is environmentally sustainable, thanks to fast re-growth of plants that grow to back full maturity in as little as four years. Bamboo plywood tends to be durable. In fact, it is 25 percent harder than red oak and 12 percent harder than Maple wood, thanks to a tensile strength of 28,000 per square inch. Building flexibility. Thanks in part due to its general durability and strength, the material is stable even when applied in a variety of unusual settings. Bamboo plywood is constructed through lining up several layers of bamboo parallel and/or perpendicular to each other, which is then heat-pressed into single sheets. The age of the plant, the moisture it has received, and time of harvest all affect the hardness of the material, which is typically categorized in one of the multiple grades to give you the best product possible. 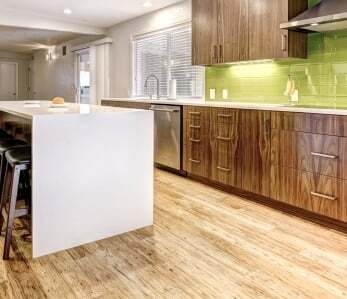 Considering these benefits, it’s no surprise to see bamboo plywood in a variety of home and commercial projects. 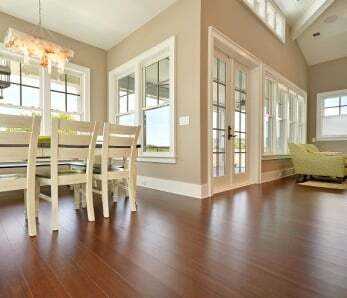 The most typical examples tend to be direct replacements for traditional hardwood applications. For instance, it’s not uncommon to see bamboo as kitchen and bathroom cabinets and counter tops. The marbled grains of the material makes it an ideal fit for a unique ambiance. But of course, the possibilities don’t end there. In addition, bamboo plywood can also be used for a variety of furniture, from dressers to kitchen chairs. 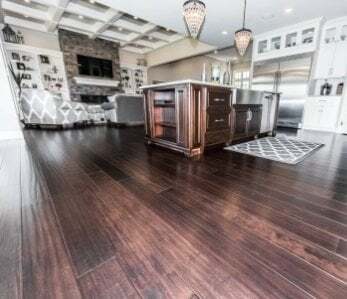 Wall paneling is another typical application, allowing homeowners and businesses alike to convey a classic ambiance and connecting the inside with nature. 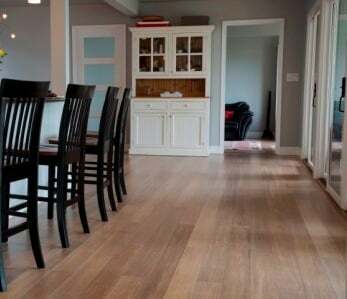 And of course, your home’s new flooring could be based on a set of beautiful, finished plywood planks. Airplane wings, taking advantage of the durability and strength of the material. Stereo component cases, giving a beautiful home to some of your most prized belongings. Bathtubs surrounds, adding a touch of elegance to master and guest retreats. Engraved cutting boards, which make particularly unique and beautiful gifts. Musical instruments, which become more affordable and (according to many musicians) improve acoustically as a result. The versatility of the material allows anyone interested in building better furniture, musical instruments, and even boats. That does not, of course, mean that the applications are completely limitless. If you want to use bamboo plywood the right way, you need to understand not just its nature and applications but also its limitations. In some cases, non-compressed hardwood or bamboo sheets could still be your better option. The best example of this can be seen in interior doors, which do not lend themselves to this building material. In addition, it cannot be bent easily; any curved furniture needs to be bent during the initial construction process, before heat-pressing individual sheets together. To be sure bamboo plywood works well for your intended project, it makes sense to talk to your architect or building material supplier for more specific information on the use cases and limitations of the material. Choose the right vendor. Make sure that any supplier you work with sells only high-quality products. Find the right grade. As mentioned above, a number of variables can influence the hardness and durability of your plywood. Be sure to find sheets that match your building needs. Know the right thickness. You can get bamboo plywood anywhere from 1/4 inch to 1.5-inch thickness. Find the right color. Natural, carbonized and tiger are just some of the colors that will influence and change the look of your finished project. Know the quantity. How many plywood sheets will you actually need for your project? Using these steps, you can find plywood that matches your exact needs and helps you accomplish your building project. Knowing what bamboo plywood is used for is only your first step in improving the look, function, and environmental sustainability of your space. 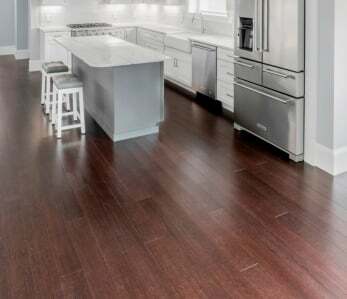 ‹ How Long after Gluing my Floors Down do I Have to Wait until I Can Walk on Them?